Isuzu mean “Fifty Bells” which is a stream in a remote province of Japan. However, this car manufacturer did not always have a lovely name. Originally, the automaker was known as Tokyo Ishikawajima Shipbuilding and Engineering Company. In 1916 the shipbuilder thought it would be an excellent business move to begin making cars. In 1918 Isuzu and the Wosely Motor Company collaborated on Isuzu’s entry into the automotive market. First Isuzu introduced a passenger that was called the A9. This was followed soon after by the company’s first truck offering, the CP. Following World War II the company changed its name to the more easily understood and briefer Isuzu Motor Company. Isuzu trucks were a major force in the reconstruction of post-war Japan and the company thrived. In 1953 the company introduced the Hillman Minx, an effort of a collaboration between Isuzu and British automaker Rootes. During the 1960s more passenger models were added including the Gemini that was born by a joint effort between Isuzu and General Motors. In the 1980s, Isuzu began selling cars in the United States. The Isuzu Rodeo and a pickup were co-developed with Subaru and the offerings of Isuzu were accepted by the public. However, its line of passenger cars did not do as well. 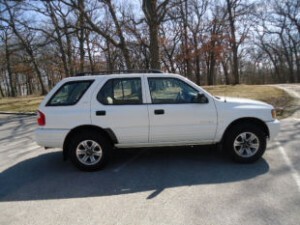 Overall the 1990s were successful for Isuzu in the United States. This was due in no small part to the popularity of its trend setting Trooper model which helped lead the way for the robust market for SUV vehicles. In 1999, GM took control of the company by becoming its majority stock owner. What GM did not see was the keen competition of other automakers in the SUV market. The fantastically popular Trooper and Rodeo were outclassed by new offerings from other manufacturers. Now Isuzu offers two models – a truck and an SUV that are derivatives of GM models. Isuzu brand cars have a well deserved reputation for quality. Those that are interested in an Isuzu for sale in Lynnwood Washington call Carson Cars in Lynnwood at 425-697-6969 or Toll free at 1-888-47-DRIVE. When you buy from Carson Cars you are buying from a second generation family owned and operated independent award winning car dealership. Every pre-owned car is rigidly tested for quality with a 111 point inspection done by an ASE certified technician. Every used car sold by Carson Cars is guaranteed. Over the years Carson Cars has built an expansive network of financial institutions that will finance your car purchase. Click here to complete our private and secure easy online credit application. For over 35 years Carson Cars has been helping families and individuals in the Lynnwood Washington area obtain the car they want irrespective of their credit status. Call today for more information: 425-697-6969 or Toll free at 1-888-47-DRIVE.